Not long after releasing the Galaxy Watch in August last year, Samsung permanently slashed the prices of the Gear S3 and Gear Sport at its official online store, while most major retailers followed suit with their own deep discounts on the two models. The latest offer comes courtesy of Amazon and Bet Buy, where you can now get the Samsung Gear Sport for $159.99. The Galaxy Watch may be Samsung's current flagship smartwatch, but it's considerably more expensive, while the Gear Sport ain't half bad for the discounted price. 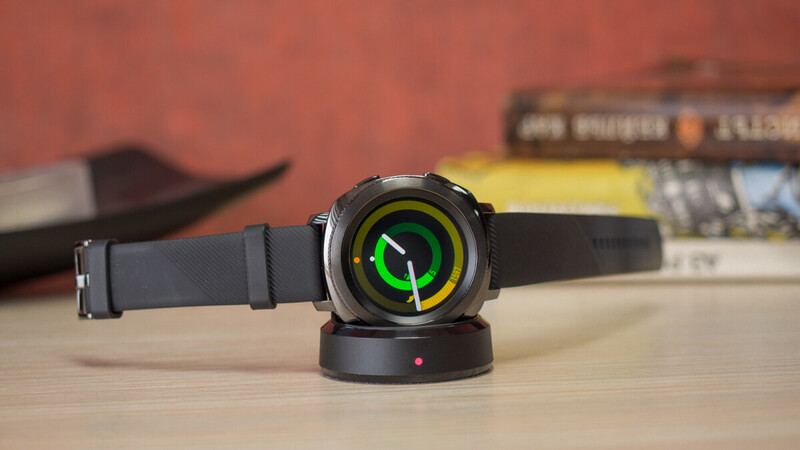 Both the Gear Sport and Gear S3 were affected by a weird battery draining issue last year, but a recent software update solved this and introduced various new interface tweaks and enhancements. If you're interested in the Gear Sport, Best Buy and Amazon are running the same deal, with the Midnight Black and Blue color options available at both retailers. And if you fancy something even cheaper, Best Buy also has Open-Box offers on the Samsung Gear Sport starting at $140! Open-box sales are defined as discounts on products that have been returned by the original purchaser. This means that the box may be dented or damaged in some way, but the device inside should be in new close to mint condition. Most unappealing smartwatch design ever to come from Samsung. No thanks.